If you want, there is a plethora of video editing books out there, explaining techniques on how to professionally edit video. There are all sorts of rules, J-cuts, L-cuts and much more. In our opinion, these are a waste of time. Why? Because you already know most of them from watching YouTube videos, movies, and commercials. By making a note of paying attention to the composition of videos, you can master them even more, until you have a gut feeling, which will allow you to creatively arrange your videos into something that is enjoyable to watch. Even if you’ve never edited video before, or are just a beginner, it’s usually easy to tell if a cut between two clips doesn’t look right. Maybe the angle on the subject is too close between the two or it looks jumpy. Rather than memorizing rules, (that are often broken) it’s important to be able to use your gut feeling to determine if it looks good. After you’ve edited for a while, you will develop a knack for how to organize your clips together into something that flows and smoothly directs the viewer through the video without confusing them. To help expedite this process and make your video look more professional, pay attention to the composition of and patterns you notice from commercials and movies. Most video editors have some sort of inspiration, someone who’s videos they can look up to and get ideas from. Analyze all of the videos and get ideas… How is the music interweave into the video? How long/short are individual clips? What is the order/organization of the video? Questions like this, along with just paying attention to the editing of a piece will allow you to begin to emulate them and create professional looking videos, using proven techniques combined with your own creativity. 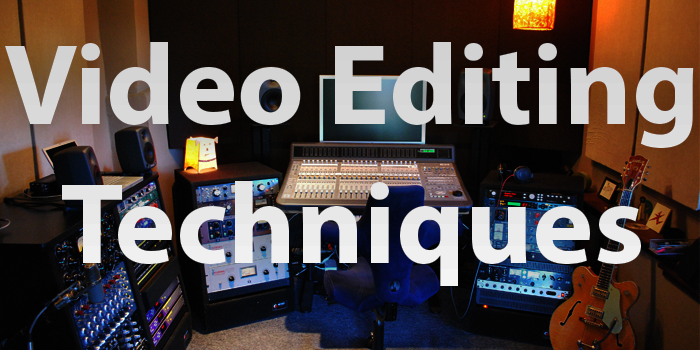 Try this one: here is a video that consists of very professional, but creative editing. The deadliest day on the worlds most dangerous mountain. In a century of assaults on K2, only about 300 people have ever seen the view from the planet’s second highest peak. More than a quarter of those who made it didn’t live long enough to share the glory, or to tell the tale. At the heart of The Summit lies a mystery about one extraordinary man, Ger McDonnell. By all accounts, he was faced with a heart-breaking dilemma— at the very limit of his mortal resources, he encountered a disastrous scene and a moral dilemma: three climbers tangled up in ropes and running out of time. In the death zone, above 8,000 metres, the body is literally dying with each passing second. Morality is skewed 180 degrees from the rest of life. When a climber falls or wanders off the trail, the unwritten code of the mountain is to leave them for dead. Had Ger McDonnell stuck to the climbers’ code, he might still be alive. Keep editing in the back of your head when watching anything, and you will find your own skills rapidly increasing!